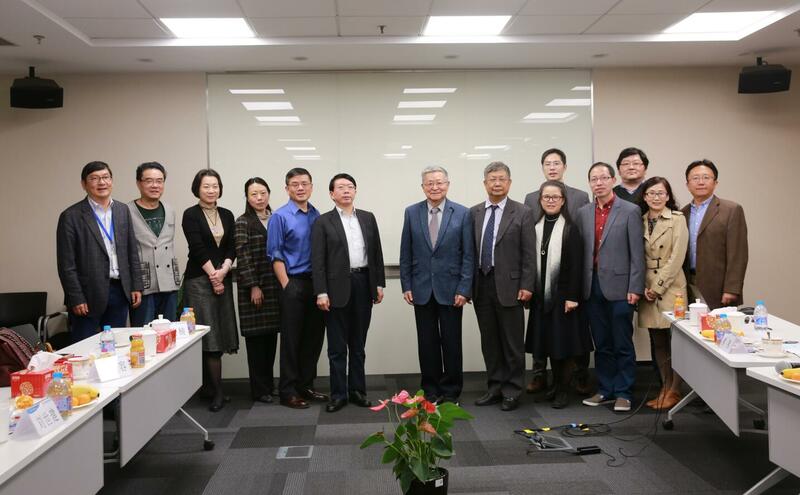 On 12 November, 2017, SERCB held the expert consultation committee meeting, inviting Zhao Guoping from CAS Shanghai Institutes for Biological Sciences and Hu Qingli from Ruijin Hospital affiliated to Shanghai Jiao Tong University as Chairman and Deputy Chairman of Committee respectively. The committee members were the well-known experts and scholars in the field of biobank in China, including Chu Jiayou from Institute of Medical Biology at The Chinese Academy of Medical Sciences, Xiao Shifu from Mental Health Center affiliated to School of Medicine at Shanghai Jiao Tong University, Zhang Xia from Institute of Pathology at Army University, Huang Jufang from School of Basic Medicine at Central South University, Wang Rongcong from Sixth People’s Hospital of Shanghai, Kang Xiaonan from Renji Hospital Affiliated to Shanghai Jiao Tong University, Liu Shijian, Shanghai Children's Medical Center ,School of Medicine at Shanghai Jiao Tong University, Yan Yajun from Fudan University, Wang Weiye from Xinhua Hospital Affiliated to Shanghai Jiao Tong University School of Medicine, Miu Yougang and Xin Xiongyan from Shanghai Information Center for Life Science, CAS. In total, 14 members comprised the expert consultation committee. This committee meeting was chaired by Academician Zhao Guoping. At the meeting, Dr, Ruan Liangliang, Director of SERCB, reported to the committee SERCB’s work in recent years and illustrated the working plan for the next three years. In addition, the other experts also recognized, after heated discussion, the standardization-oriented storage system of biological sample examination, the project-based system of biological sample collection and utilization, and information-share-targeted framework of biological resource demonstration. At the same time, the expert group make higher request and express higher expectations towards future construction and development of SERCB, hoping that SERCB would put into full play its own advantages and be clear about its technical character to continuously improve their characteristics, that SERCB would crystallize data specification and make efforts to refine the norms and regulations, that SERCB would try and develop foundation supporting system, and launch research to compensate for the weaknesses, and that SERCB would further enhance talents cultivation and team building, and meanwhile strengthen cooperation with clinical department to popularize technology and knowledge.